Please meet at the cemetery entrance. Gary L. Almond, age 70, passed away unexpectedly, Monday, February 26, 2018, at his residence. 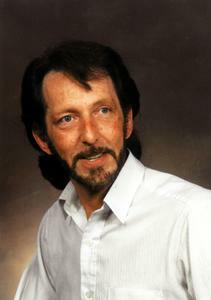 He was born in Racine, December 14, 1947, son of Verlyn and Mildred (Nee: Foreman) Almond. Gary graduated from Wm Horlick High School “Class of 1965” and went on to proudly serve in the U.S. Coast Guard from 1967-1973. He was employed by AMC and Chrysler Corp for many years before owning his own businesses Auto Care Experts and Wrought Iron World. Gary will be dearly missed. Surviving are his children, April (Byron) McIntosh, Chris (Trish) Almond; grandchildren, Drew, Courtney, Allyssa, Braden, and Natalia; great granddaughter, Gracelynn; his mother, Mildred Almond; other relatives and friends. He was preceded in death by his father, Verlyn; and brothers, Gene and Greg. Relatives and friends may meet with the family to share memories Sunday, March 11, 2018, from 2-4 P.M. at the funeral home. Interment with full military honors will be held at West Lawn Memorial Park, Monday, March 12, 2018 at 1:00 P.M. Please meet at the cemetery entrance. Memorials to the family have been suggested.